As one of the largest brands of outdoor apparel, Walls Workwear is a reliable name for those in need of quality work clothes. Here at Working Person’s Store you can enjoy our diverse selection of Walls Workwear products to suit all your hardworking needs. What began as Wall’s one-piece coverall quickly expanded to include a multitude of practical workwear. Whether you are a farmer, ranch hand, construction professional, mechanic, oil rig worker – or perhaps you just enjoy wearing the clothes – there is no better workwear than Walls. Outfit your family, employees, team or whatever group you want in Walls Workwear from their selection of clothing. You can even personalize your Walls clothing with names or logos by our in house embroidery team. Enjoy the comfort and quality that comes with wearing high quality workwear from a reputable company. 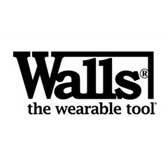 Walls workwear products are made especially for those who have a need for great workwear. Choose from our selection of Walls workwear when you need a quality garment to keep you warm and dry. Remember that Walls workwear offers superior function at a superior value, which is why it’s best to shop at Working Person’s Store for all your Walls workwear needs. Got my jeans today and you guys are FAST! Thanks a lot, I will be shopping with you a lot more.